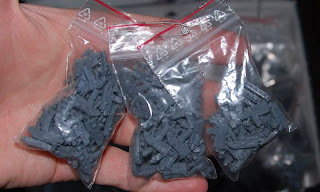 Heresylabs: How do you store your bits? How do you store your bits? 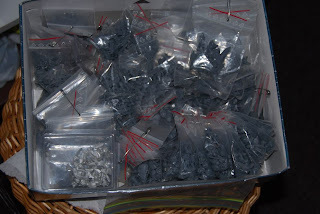 I am using box from Chaos Space Marines Battleforce to store most of my bits. And then every type of bits is packed in individual package and grouped by categories. It saves my time to search bits I need and allows me to see all available options at once.